Artwork all hung up now! 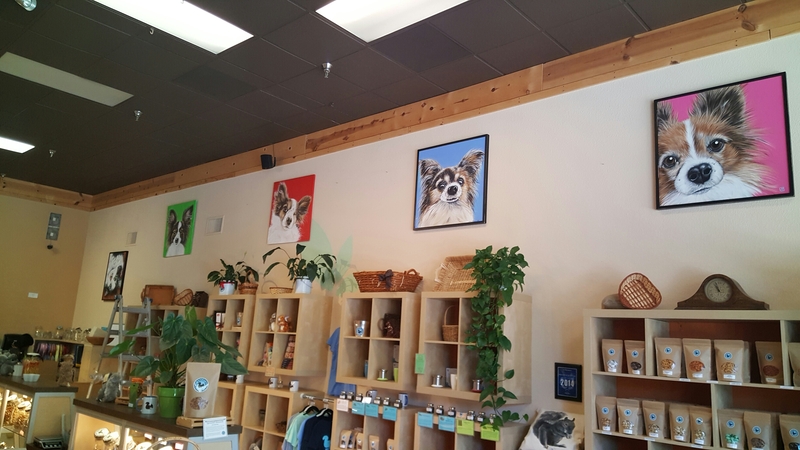 My work will be at Nut Kreations, downtown Santa Cruz til end of September. 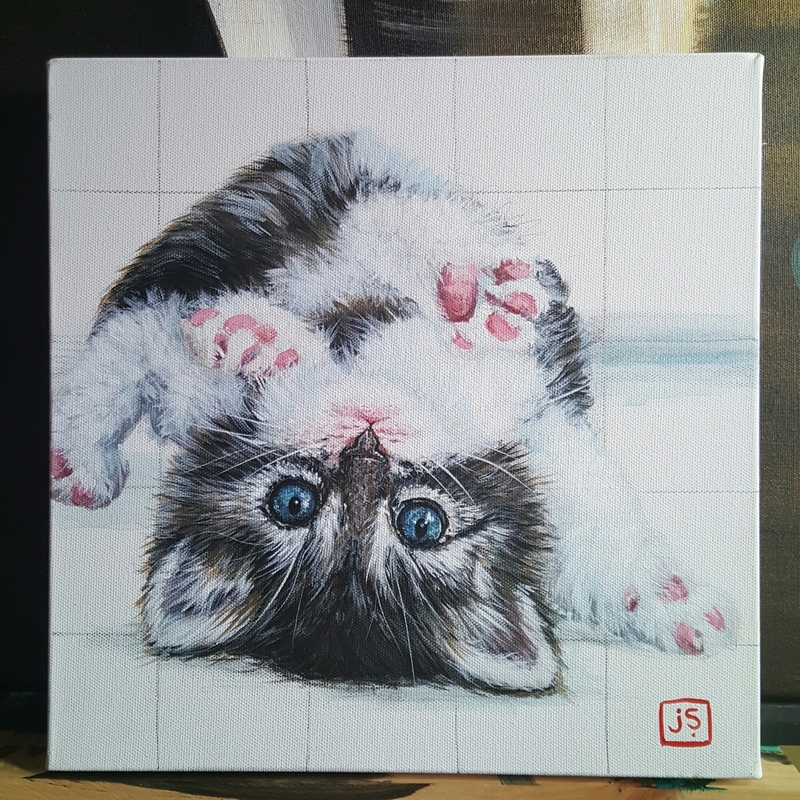 Just finished up this 12×12 of an adorable kitten I saw online! I think I will have to go to the local shelter and photograph some sweet adoptable kittens for future paintings!! 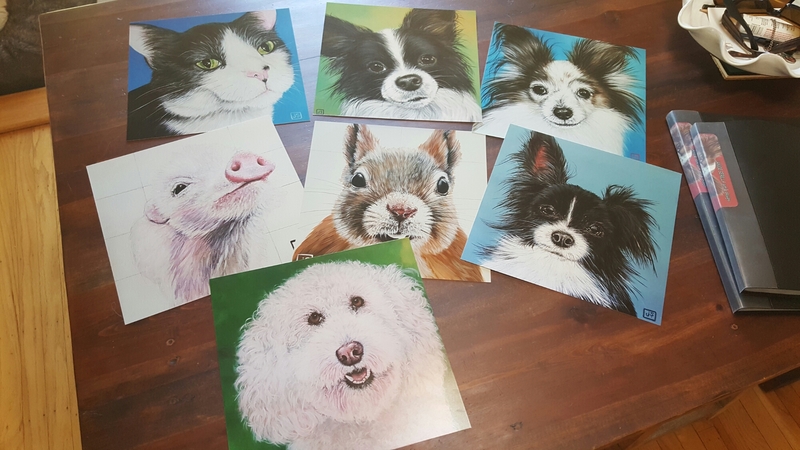 I like to get photos made of my artwork for my portfolio books. Keep a record of all my work to show to people. Amazing that most of these pics were taken with my phones camera! Thank you modern technology! 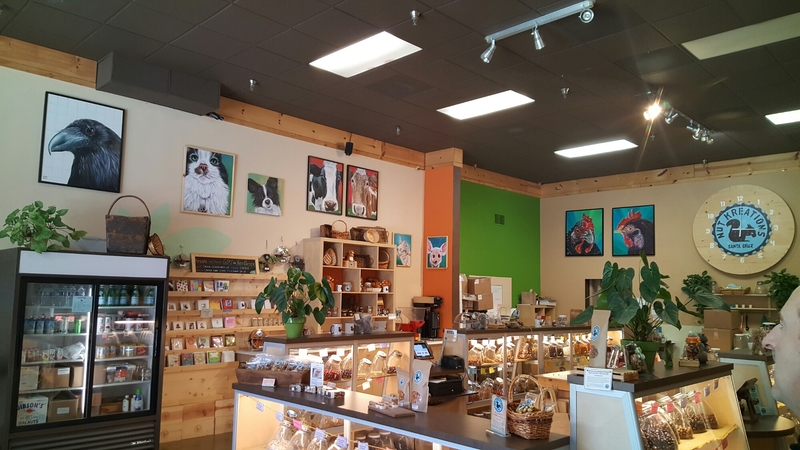 Nut Kreations in Downtown Santa Cruz will be hosting my Artwork for the month of September for the First Friday Art tour!! 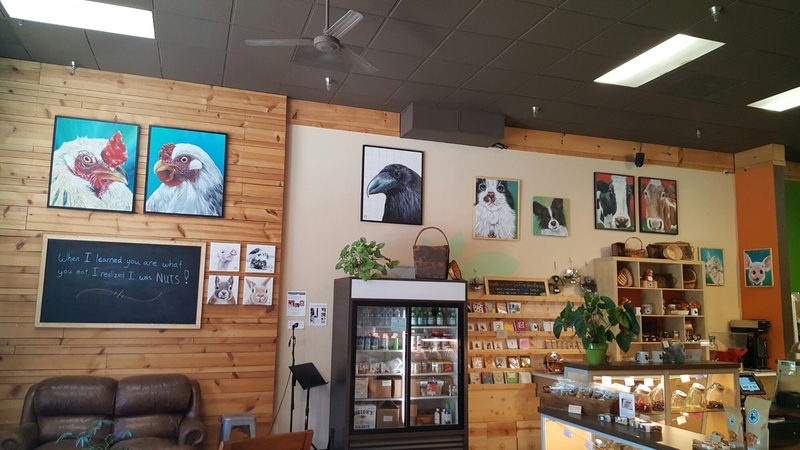 Come on down and check out my latest work and all the other artists that are being hosted by many other shops downtown!!! Enjoy some music and wine!! !